The Who was never really supposed to be “The Who.” The famed band was earmarked to provide managers Chris Stamp and Kit Lambert an entryway to a film industry that had thwarted their early 1960s efforts in that realm. Lambert and Stamp saw in the group an opportunity to make a movie about the dim, dangerous and din-fueled Mod movement in London. That movement was both nurtured and capitalized on while it was exploding around Pete Townshend, Roger Daltrey, Keith Moon and John Entwistle, as they cranked out Anglophile versions of American R&B numbers at incredibly high volumes before pilled-up kids in dingy nightclubs. Create a scene around a band, film it and move on to greener pastures in the world of feature films – that was the plan. But then Townshend starting writing tunes, and Lambert’s high-brow imagination was captivated. Suddenly, all bets were off. Lambert, son of classical composer and conductor Constant Lambert, and Stamp, working-class brother of actor Terence Stamp, made for an odd couple. Lambert was posh, educated and gay during a time when being so was dangerous. Stamp was a street tough ladies’ man who looked like he belonged on stage with a rock ’n’ roll band, not behind the scenes managing one. Somehow, the two complemented each other, and a deep friendship ensued. Cooper captures all of this through a combination of present-day recollections and beautifully grainy and gritty black-and-white footage from the mid-1960s. The soundtrack is provided by the visceral wallop of early Who. Far from a “Behind the Music”-styled chunk of celluloid melodrama, “Lambert & Stamp” delves into the rich terrain where high-concept pop-art met down-and-dirty rock ’n’ roll, and reveals the Who to be, in a sense, a mirror reflection of its management team – tough and bawdy on one hand, refined and intellectual on the other. 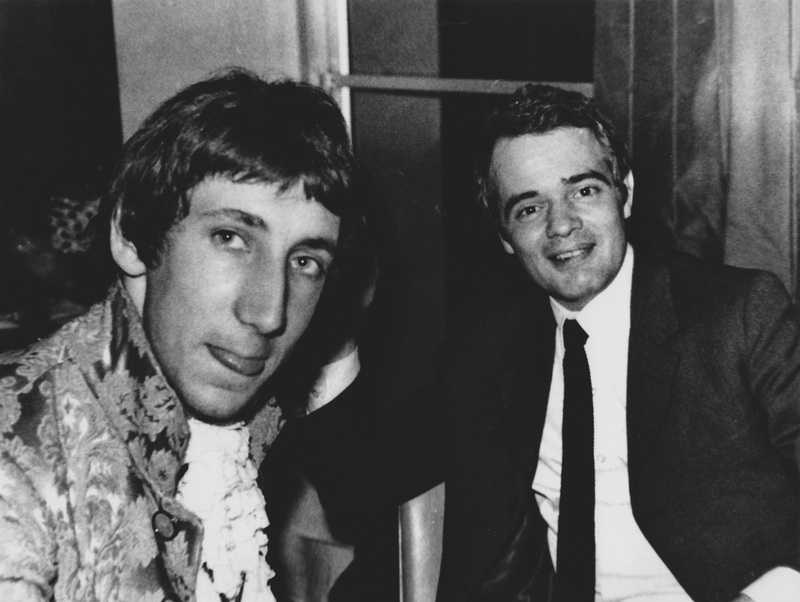 In 1964, when they met the Who, Lambert and Stamp had no money, no real connections, no genuine experience, and if truth be told, no business at all managing a rock band. To hear Stamp tell the story today, the two basically snowed the naïve young musicians into believing in a collective résumé that didn’t exist. A few short years later, the Who took over the world with “Tommy,” and went on to become one of the most significant bands in the history of the form. As he tells this story, Cooper, through deft manipulation of archival footage and dynamic integration of the Who’s music, maintains a rhythm as taut and tense as that music itself. More than a simple historical curio, “Lambert & Stamp” is a celebration of naiveté, idealism, unfounded self-confidence, and the way these qualities aided in the creation of art that was at once radical and accessible. It’s an arrow aimed at the hearts of Who fans, and its aim is true. The Lowdown: Would-be filmmakers Kit Lambert and Chris Stamp tap rag-tag R&B group the High Numbers as subject for planned documentary, unwittingly help the band turn into the Who.